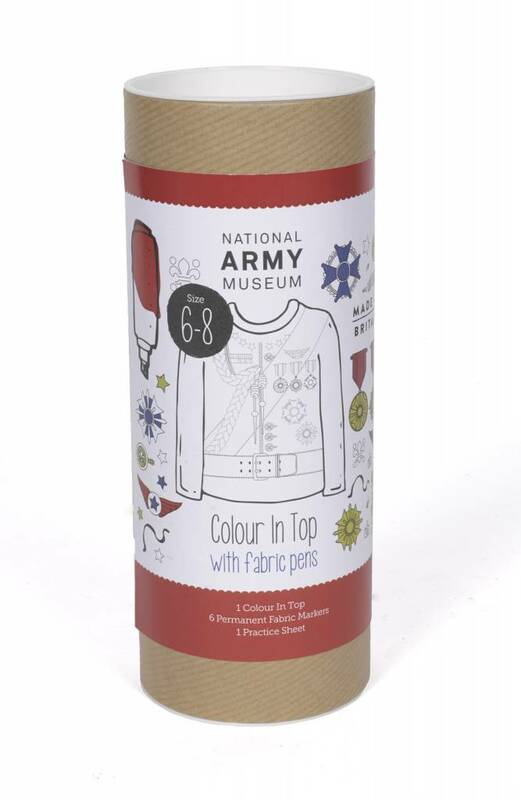 Colour-in soldier top, designed exclusively for the National Army Museum by Selfie Clothing Co. 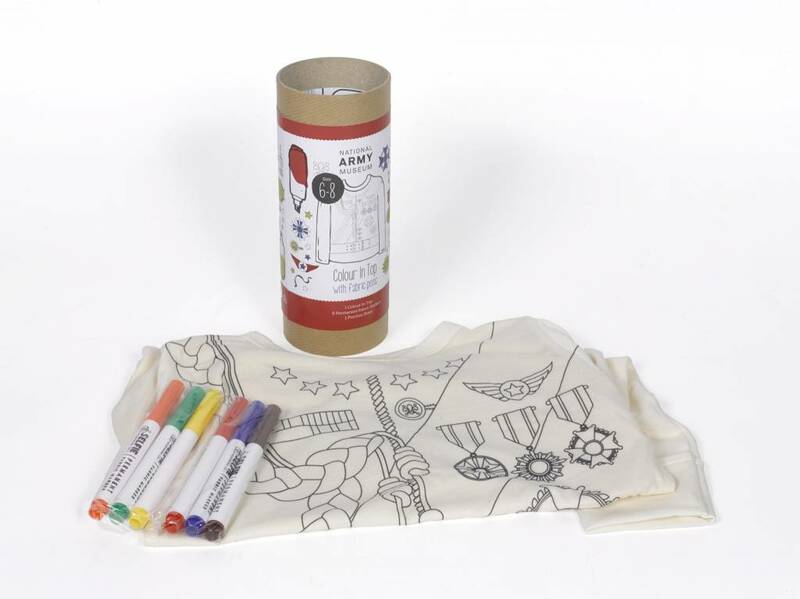 Your little one can colour-in their own soldier uniform! 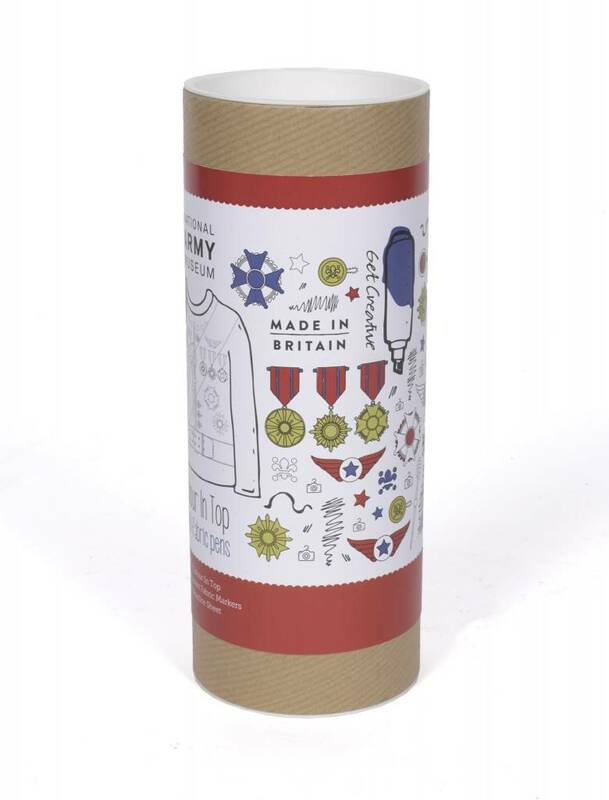 The creative kit includes a long-sleeved round neck top, six fabric colour in pens and a colour in practice sheet. The lightweight jersey blend top features a unique soldier red-coat colour in design, ready for your little ones to get creative with. 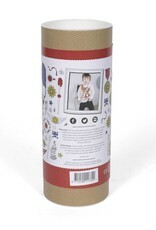 The fabric pens use high-quality UV ink which can be air cured for 24 hours or ironed by a parent. The colours will not fade and can be worn time and time again. 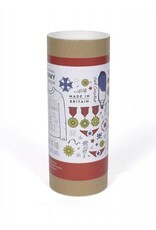 The products are designed, handmade and handprinted in the UK. 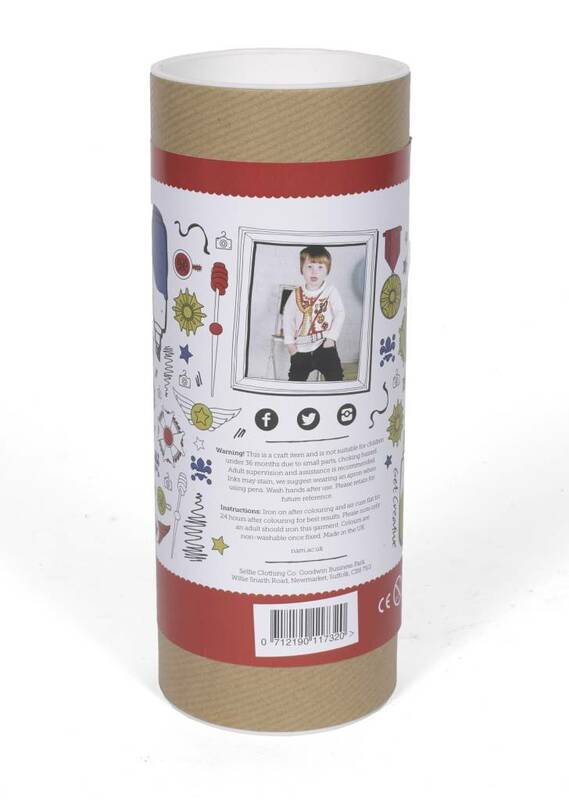 The perfect gift for any child with a creative edge or a group activity for parties or play dates.